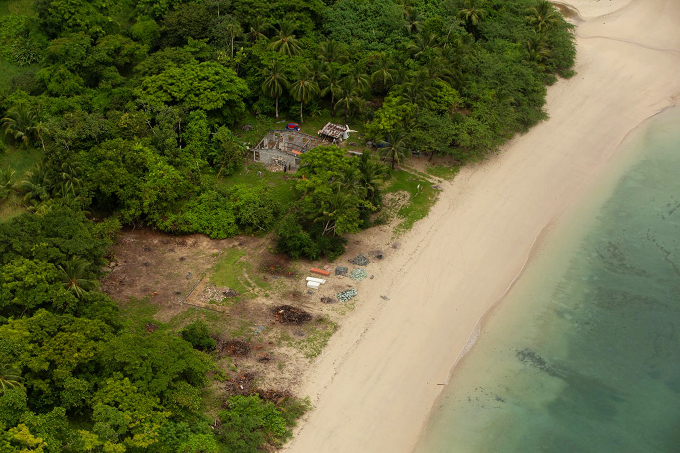 Construction underway on Playa Blanca, a sensitive protected area of Isla Coiba National Park. What is it? Is there an environmental study for it? Who approved it? When and where were the public hearings? Who is the contractor and where is the contract? All that information is being withheld. Aerial photo from the CIAM Twitter feed. Coiba Island, along with its adjacent islets and coral reefs, is a crown jewel of Panama’s wilderness areas, a UNESCO World Heritage Site. Politically connected resort developers want to privatize it for tourist development. Were they to hold an actual public hearing in a reasonable place with reasonable notice a huge crowd would turn out to oppose that. Especially now, with an administration tainted by the Odebrecht and Blue Apple construction contracting scandals. So Coiba is being developed on the sly, it seems. Smash and grab time ahead of next May’s elections, replicated in a thousand different ways across the country. One of the reasons why we need a new constitution is so that people who do this don’t get to keep the proceeds of this behavior. You don’t give this stuff to newborns. That’s why they put the warning in red. Five years ago is was a rash newborns who died in the neonatal ward of the Arnulfo Arias Hospital Complex. What the problem was became immediately apparent, and measures were quickly taken — to destroy evidence. 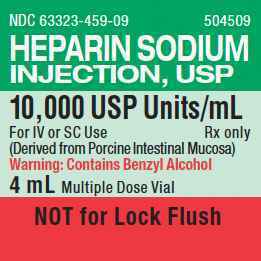 The facility was supplied with the blood thinner heparin, with the benzyl alcohol preservative that should never be in any medication administered to infants. The world might be none the wiser except that the mother of one of the affected babies was a doctor. Eventually seven people, including some of the Social Security Fund medical supply functionaries, were charged with various aspects of negligent homicide. But fingers are still pointing in circles and nobody has actually been brought to trial. We recall the case of deadly poisonous Diethylene Glycol (DEG) mixed into cough syrup at a government lab. The immediate reaction then was to deny and suppress reports to avoid bad publicity for the government before an election. The next thing was to deny the extent of it and block funding for tests to prove or disprove that deaths or illnesses were DEG-related, so as to pay out fewer benefit to those affected or their survivors. Then the blame assignments began, with the people most responsible carefully protected and people totally uninvolved being charged. Before that there were the radiation overdoses for cancer patients, due to bad equipment bought from a US company and people at the Instituto Oncologico neglecting to check the radiation levels. The problem was compounded when in gross violation of medical and journalistic ethics, the affected patients’ names and medical histories were leaked to the press and published. Not again! The US medical malpractice litigation game is probably not the way for Panama to go, but there needs to be accountability in all of our licensed professions. We don’t have that in any of our professions and many innocent people inside those subcultures and among the general public suffer for it. There are too many people in positions of power, or with badges of authority, to whom black lives don’t matter. 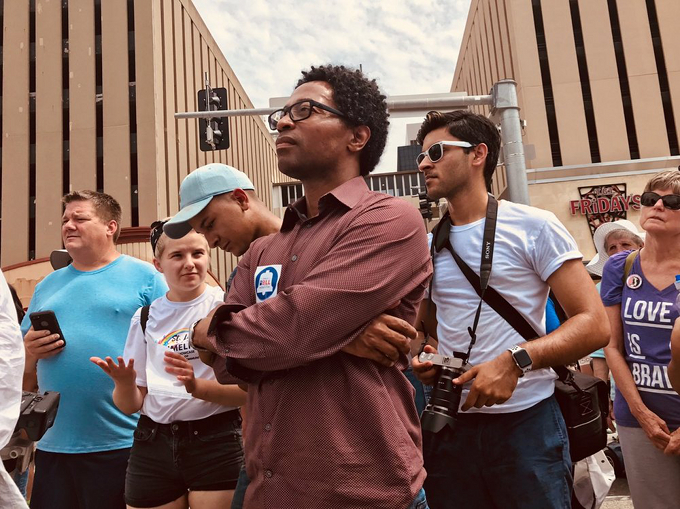 Let the Democratic nominee for St. Louis County Prosecutor and shoo-in for the November election, Wesley Bell, be the beginning of their nightmares. Photo from his website. Some close August 7 votes are going to absentee and provisional ballot counts, which may end up being decided by Americans living and casting their ballots from abroad. En route to what? On the Republican side it’s about whether Donald Trump can destroy anyone in his party who is insufficiently obeisant. On the Democratic side it’s centrists versus progressives, with such corporate media as The Washington Post and The New York Times declaring the progressives dead on the eve of each primary day. The progressives tend to lose against incumbents but win a bit more often in races for open seats. The big exception on August 7 was the primary ouster of the long-time St. Louis prosecutor who more than any other single person provoked the Black Lives Matter movement. With nazis and those who oppose them facing off in the streets, that St. Louis election result is a priceless demonstration of how to effectively confront those with contempt for the lives of those unlike themselves. It’s all headed for a big November showdown. History and the totals by party of primary vote turnout suggest that Democrats will take control of the US House of Representatives. Whether the US Senate changes hands and the direction and extent of changes at state and local levels are the big unknowns. Register to vote and order your ballot by going to votefromabroad.org or fvap.gov or overseasvotefoundation.org. History will be made and you don’t want to have to lie when future generations ask you about your role. Did it take a time of men on their worst behavior in high places to make this the year of Democratic women? In a strange double race in Detroit, former state representative Rashida Tlaib, the daughter of Palestinian immigrants, won the primary for the full term in John Conyers’s old seat, while Detroit City Council president Brenda Jones beat Tlaib in a special election to serve the remaining months of the former US representative’s present term. 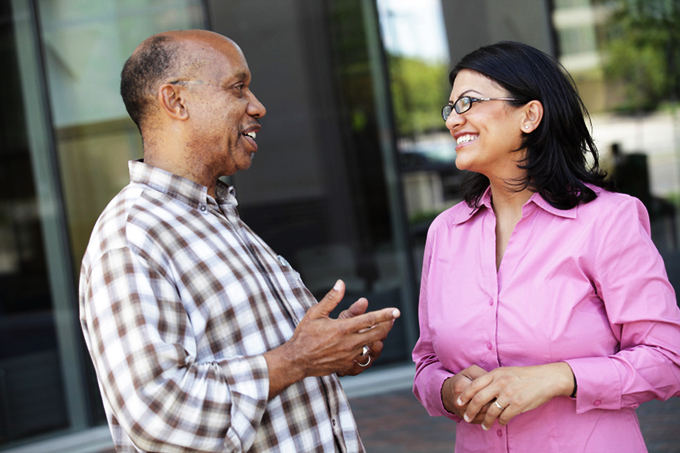 Photo from Tlaib’s website. One of the happiest days of my life is when I made five or six hundred pesos from a crop of watermelons I raised all on my own. The alienation, the downright visceral frustration, of the new American ideologues, the bone in their craw, is the unacknowledged fact that America has never been an especially capitalist country. The postal system, the land grant provision for public education, the national park system, the Homestead Act, the graduated income tax, the Social Security system, the GI Bill — all of these were and are massive distributions or redistributions of wealth meant to benefit the population at large. Previous articleAvnery, Who the Hell Are We?